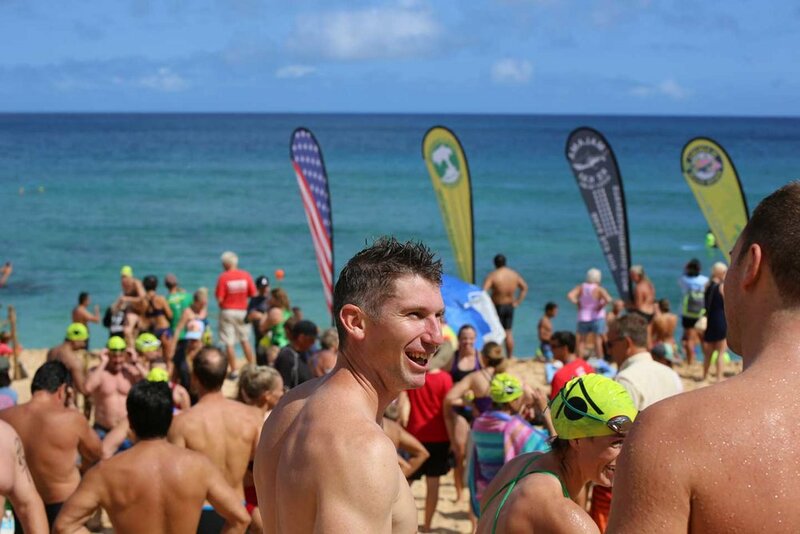 The North Shore Swim Series brings together swimmers from all over Hawaii and beyond to experience unique open water swim races of different distances at iconic race venues along Oahu’s famous North Shore, like Sunset Beach, Waimea Bay, and Chun’s Reef. We love talking with the swimmers about reef safe sunscreen, the benefits of mineral sunscreen, and why zinc oxide is the best for UVA and UVB broad spectrum protection. We also love to educate about What Reef Safe Really Means and why everyone should toss out their chemical sunscreens, containing toxic chemicals such as oxybenzone, octinoxate, and parabens, which are endocrine disruptors and toxic to coral reefs, marine life, and humans. Kōkua Sun Care Hawaiian Natural Zinc Sunscreen is not just reef safe but also marine safe because it does not have any of the many known marine toxic chemicals commonly found in personal care products and sunscreens. Kōkua Sun Care is an ideal sport sunscreen and beach sunscreen, great for swimming, biking, running, triathlon, hiking, climbing, paddling, kayaking, surfing, scuba diving, sailing, and snorkeling because it has the highest SPF that you can legally claim, SPF 50, the highest percentage of zinc that you can legally claim at 25% providing maximum protection, and because of its smooth application, many antioxidant rich ingredients, including 7 potent Hawaii-grown antioxidants, and its ultra water resistance at 80 minutes plus. It stays on despite sweat and swells! 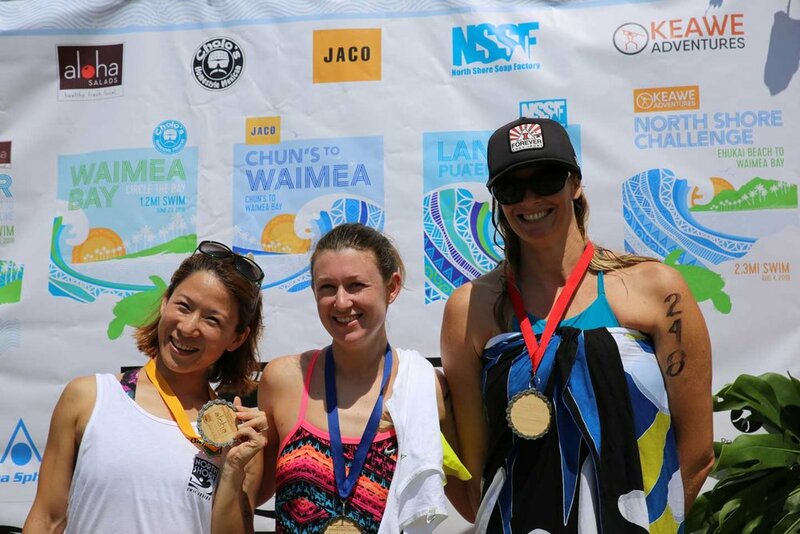 With Kōkua Sun Care you do not have to compromise on performance by choosing a natural reef friendly sunscreen. We bridge the gap between chemical performance and natural protection. Superior UVA+UVB Protection without the stinging eyes and ocean pollutants. For more information and to register, go to www.northshoreswimseries.com.